Margo Sidline set a goal over the summer to make her voice heard during her junior year at Lake Oswego High School. "I started to tell my friends about the anti-Semitism I had experienced at school, the gaps in the curriculum, and the frustrating interactions I had with adults in the community," she says. "They were shocked that I had experienced any of it, and they asked why I had never said anything before. "I didn't know," Margo says, "and I looked at them and said, 'Next year, my goal is to be loud, and to let people know when I'm upset about something. To be a force.'" And be a force she has. In January, Margo organized a screening and discussion of the documentary "Defiant Requiem," which tells the story of a choir formed inside a Nazi concentration camp during World War II. Instead of the 50 people she expected to attend, more than 500 filled the LOHS auditorium. "I was blown away. I didn't know the documentary screening would be such a big thing," she says. "I thought it would be a first step in a larger movement toward education and tolerance." The success of the screening thrust Margo into the spotlight, not only at her school but also in the community at large. After a racist note was passed to an African-American student at Lake Oswego Junior High earlier this year, for example, she was asked to facilitate an event designed to help parents talk to their children about racism. She also served as a guest reader at the Lake Oswego Public Library's Multicultural Book Day, alongside state Sen. Rob Wagner, state Rep. Andrea Salinas and Willie Poinsette, the founder of the grassroots organization Respond to Racism. For all of that and more, Sidline has been chosen to represent Lake Oswego as The Review's "Amazing Kid." 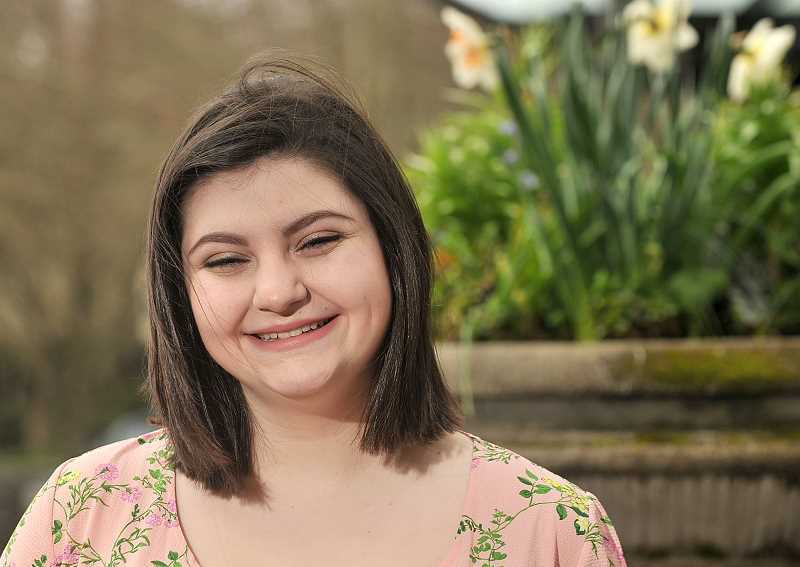 Next week, she will join more than two dozen other students at a special event — hosted by Pamplin Media Group and held at OMSI — that honors young people from across northwest Oregon who have shown a deep commitment to community service. On May 3, she'll also be featured in a full-color special section that will be included not only in The Review, but in newspapers across the state, reaching more than 425,000 community-minded readers. Margo describes Lake Oswego as "a bubble" and says it's very easy to be unaware of what others go through here. She hopes to be a part of creating a more tolerant and inclusive community. "Part of being a global citizen is being able to understand and tolerate people," she says. "You have to learn that if you haven't been given it." She says she doesn't mind the attention, especially at school. As a member of the LOHS student newspaper staff, she is known for writing eloquent, moving articles on relevant issues of the day, from impassioned denunciations of hate speech to celebrations of small instances of positivity in a sometimes stressful world. "I just figure someone has to be the person to care," she says. "I'm glad to be that person. I do care a lot. It doesn't bother me to fill that role." Inspired by the advice she's received from a teacher, Margo says she's looking for opportunities for activism wherever they come. "Activism is a continual thing. It's a process," she says. "You have to do what's needed as it comes up." Right now, though, she's focused on making her school's Diversity Council as strong as it can be. "The Diversity Council has existed for well over a year now, but hasn't accomplished too much. We're hoping to reshape it and turn it into something big — if not this year, then next," Margo says. "I'm hoping that it's not just my voice, but everyone's voices. I'm thinking next year is going to be a good year."